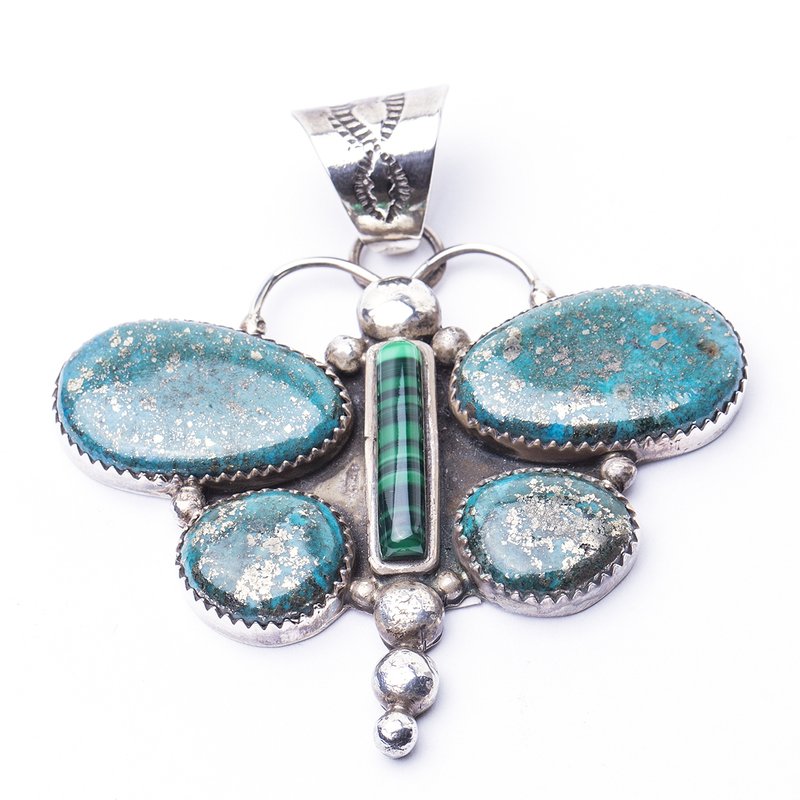 This Navajo made butterfly pendant displays beautiful Pyrite Turquoise stones for wings with a deep striped Malachite body. 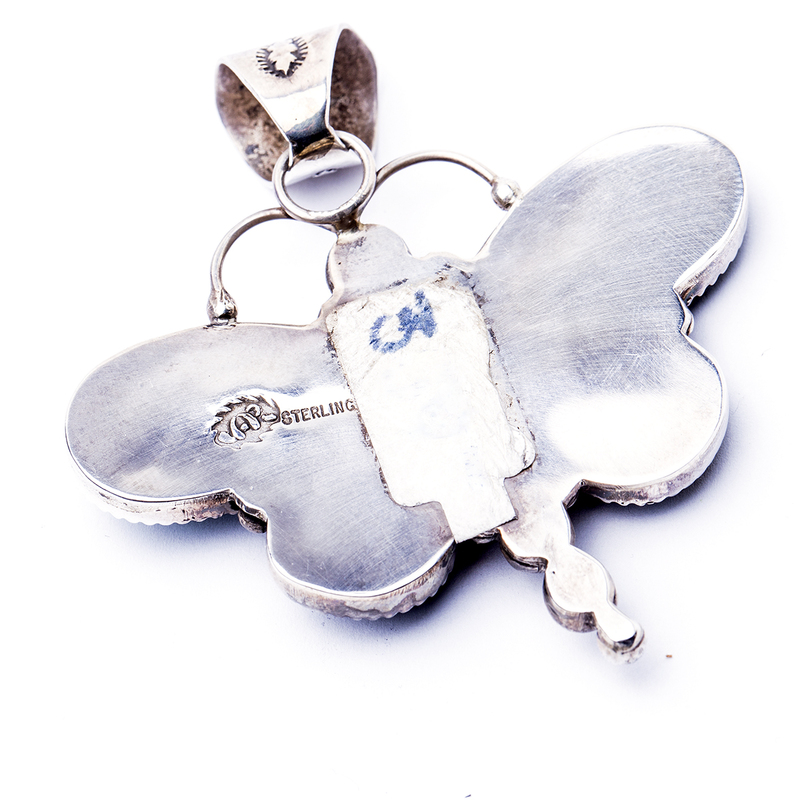 Sterling Silver balls make up its tail and it even has little antennas! The bail has elegant stamp work, too. 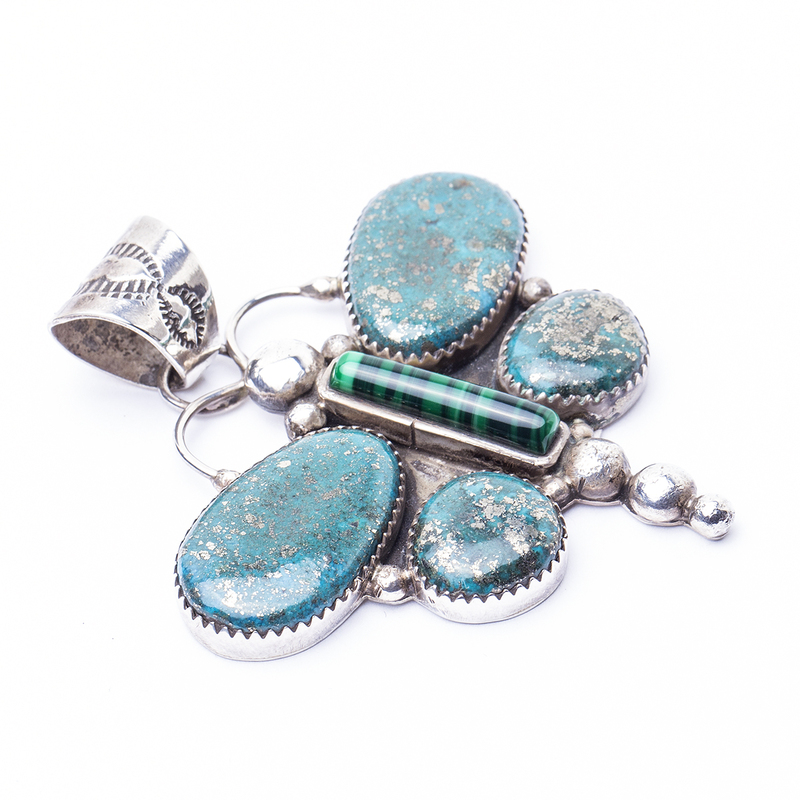 This pendant is hallmarked “AR” and “Sterling”. 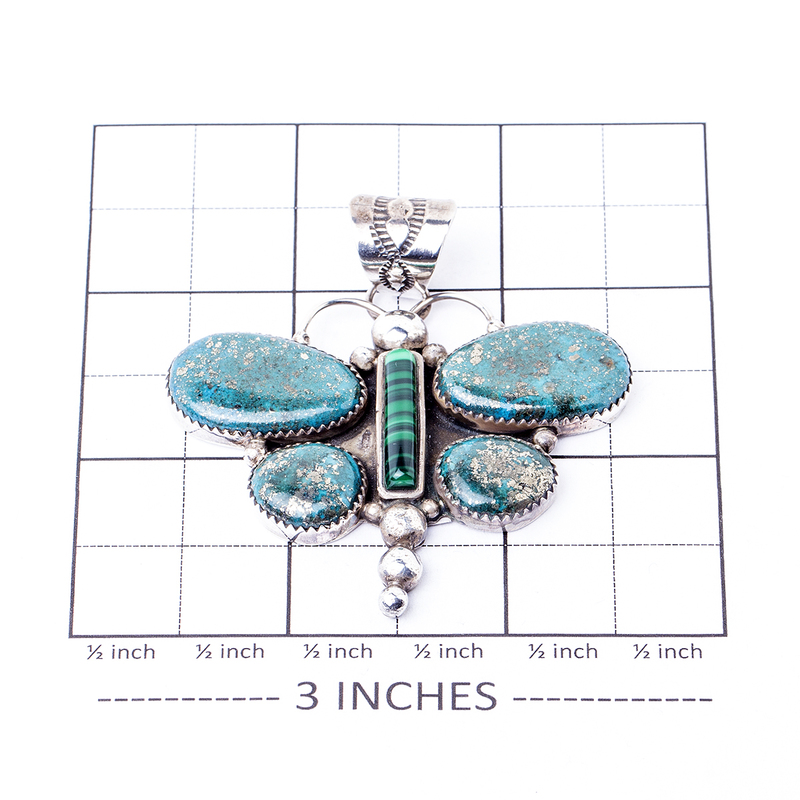 Navajo AR Turquoise Butterfly Pendant displays beautiful Pyrite Turquoise stones for wings with a deep striped Malachite body.